Gilad Hekselman's new project, ZuperOctave, is a bass-less trio featuring Aaron Parks on synths, rhodes and piano and Kendrick Scott on drums and pads. It's a retro-futuristic sound — imagining the sound if the future of jazz as it was perceived in the past. Hekselman and Parks take on the bass part, and sometimes just leave that space open. In terms of passion for melody and rhythm, this is no different than Gilad's music to this point. But, in most other aspects, he presents a brand new sound here. -A true prodigy, pianist Aaron Parks was still in his teens when he was Marian McPartland's guest for this 2001 session. That year, he placed first in the fifth American Jazz Piano Competition, landing the Cole Porter Fellowship. He went on to place third in the 2006 Thelonious Monk International Jazz Piano Competition and has built a prolific career as a performer and recording artist. -Kendrick Scott was born in Houston, Texas and grew up in a family of musicians. By age 8 he had taken up the drums and he later attended Houston’s renowned High School for the Performing and Visual Arts, a school which has produced an impressive array of musical talent including Scott’s label mates Jason Moran and Robert Glasper, as well pop star Beyoncé and many others. While still attending HSPVA, Scott won several DownBeatMagazine student awards, as well as the Clifford Brown/Stan Getz Award from the International Association of Jazz Educators. He was later awarded a scholarship to attend Berklee College of Music, where he majored in music education. Scott has toured with Herbie Hancock, Charles Lloyd, The Crusaders, Kurt Rosenwinkel, Kurt Elling, and Terence Blanchard, also appearing on several of the trumpeter’s Blue Note albums including Flow (2005), A Tale Of God’s Will (2007), and Magnetic (2013). Kendrick has released three albums as a bandleader including two previous album with Oracle: The Source (2007) and Conviction (2013). Scott is a member of the Blue Note Records 75thAnniversary all-star band that includes Ambrose Akinmusire, Robert Glasper, Derrick Hodge, Lionel Loueke and Marcus Strickland. -Aaron Parks studied at the University of Washington at the age of 14 through the Transition School and Early Entrance Program as a double major in computer science and music. At 15 he was selected to participate in the GRAMMY High School Jazz Ensembles which inspired him to move to New York City and transfer to the Manhattan School of Music. During his final year he began touring with Terence Blanchard's band, recording three albums with him for Blue Note Records, including the Grammy-winning A Tale of God's Will (A Requiem for Katrina). 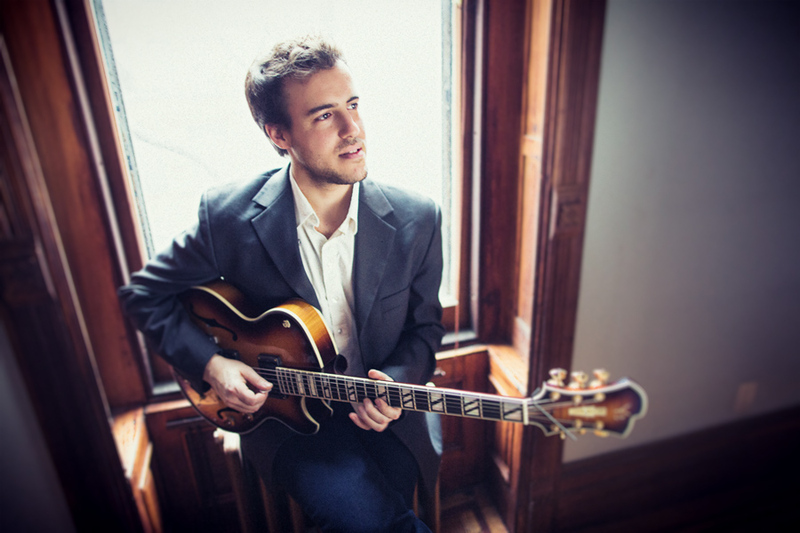 Parks has also toured with Kurt Rosenwinkel and has recorded for Blue Note Records. He is a member of James Farm, a quartet featuring saxophonist Joshua Redman, bassist Matt Penman, and drummer Eric Harland.